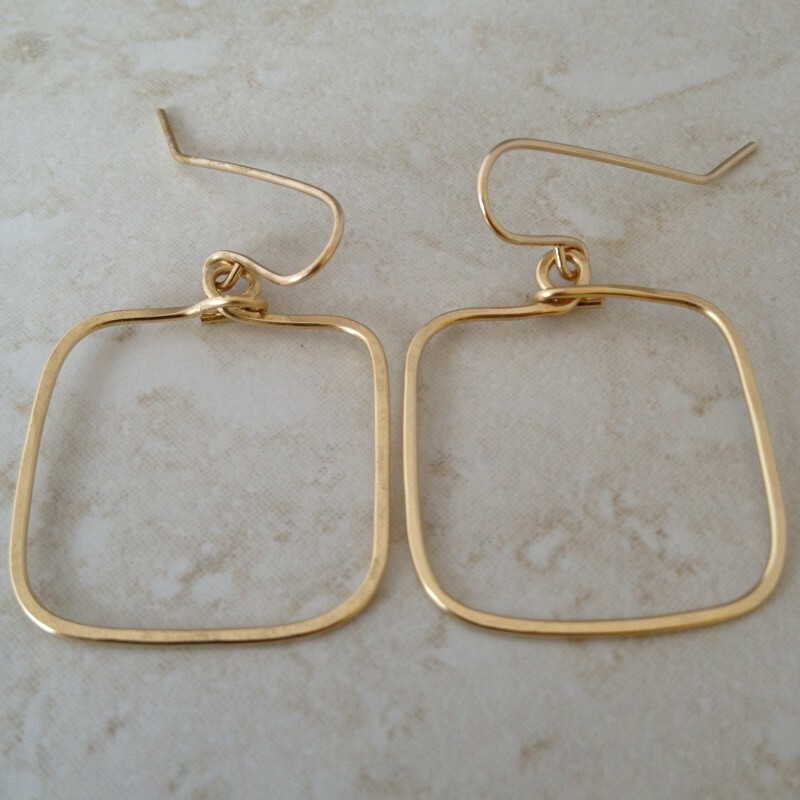 14k gold filled simple medium-small size squares with rounded edges are classic and very easy to wear. 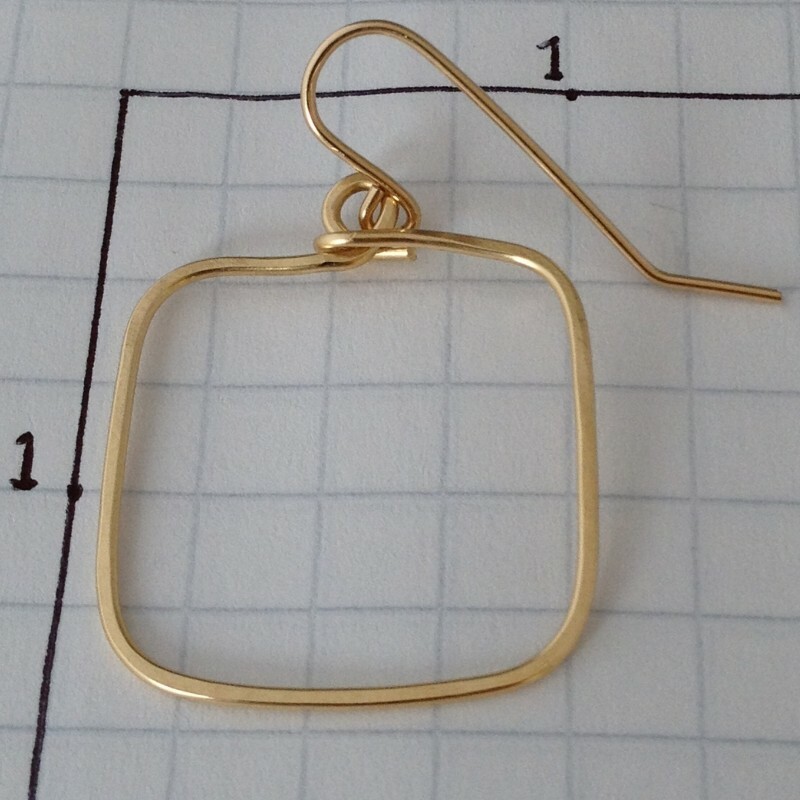 Simple Geometric 1" squares are hand formed and hammered and the edges are rounded for a softer look. 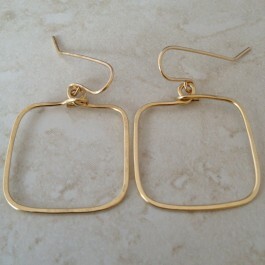 If you like hoop earrings, you will love these. The classic shape will look great with whatever you are wearing, everyday of the year. Extremely light weight and comfortable. About 1 1/2" long, 1" wide.